Unit 731 was a covert biological and chemical warfare research and development unit of the Imperial Japanese Army that undertook lethal human experimentation during the Second Sino-Japanese War (1937–1945) of World War II. It was responsible for some of the most notorious war crimes carried out by Japan. 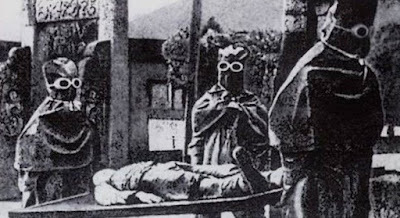 Instead of being tried for war crimes after the war, the researchers involved in Unit 731 were secretly given immunity by the U.S. in exchange for the data they gathered through human experimentation. Others that Soviet forces managed to arrest first were tried at the Khabarovsk War Crime Trials in 1949.